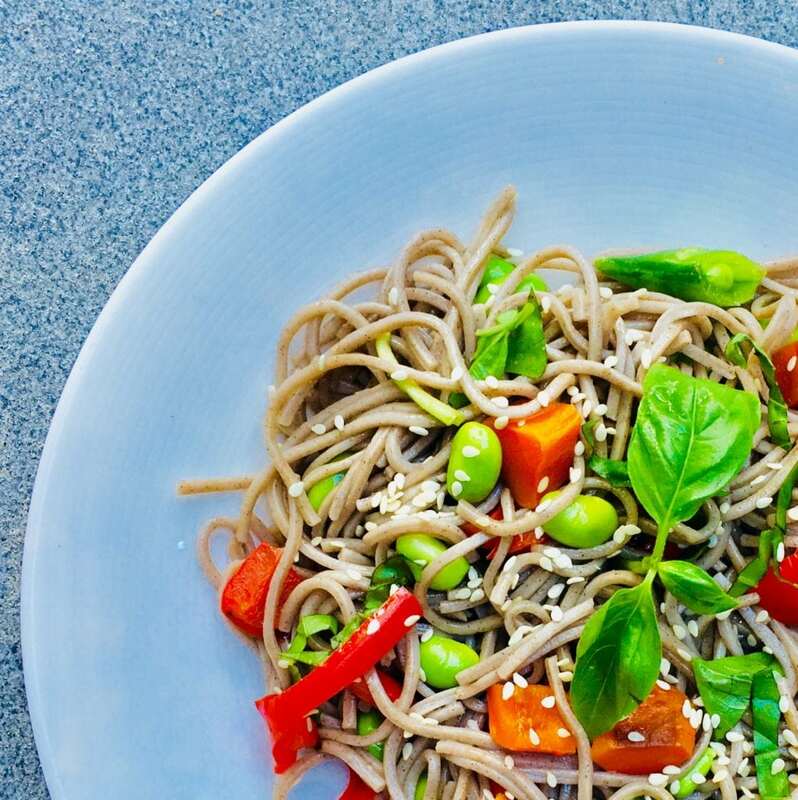 Ever since we added soba noodles to our repertoire of family recipes, I have become quite the soba evangelist. They are made of buckwheat and check all my boxes – fast, easy, and nutritious. I love that this meal can be easily customized to suit your tastes. You can play with how much greens versus noodles you use, how many and which chopped veggies, as well as which fresh herbs and sauce. To make a full meal of it, consider adding avocado and/or tofu. There are plenty of delicious extra-firm options that require no cooking. We love the smoky flavour of Sunrise Soyganic, it also comes in Sriracha flavour. On the nutrition front, this dish shines for its complex carbs and fiber. The carb to fiber ratio is about 7, which passes the whole grains test of 10x. Sugar is lower than fiber, which is a good sign. Protein content is solid (above target for basic needs). The dressings provide a nice dose of healthy (unsaturated) fats. 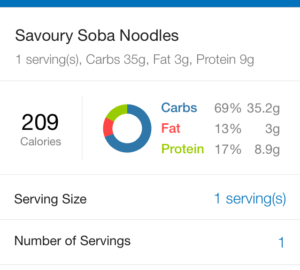 See exact numbers below the recipe. Confession: My husband and I, as well as our toddler twins, gobble these up, by my seven-year-old is not so keen. I plan to keep trying, as science tells us that it often takes multiple tries for kids (and adults!) to accept savoury tastes! Fresh herbs and seeds (We like basil and/or cilantro. Mint can be nice too, depending on sauce). My 2 faves for this dish are: Paula’s Peanut Sauce and Glorious Glory Bowl Dressing. In a pinch you could try it with a bit of hoisin. Cook soba noodles as directed. Dice the veggies (optional roasting first), and chop the herbs. Make your chosen sauce as directed. Mix the noodles and diced veggies with 1-2 Tbsp of your chosen sauce. Serve as-is or over a bed of greens. Garnish with fresh herbs and seeds if desired. 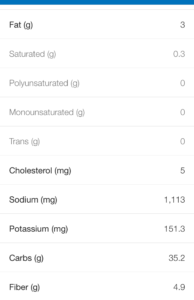 Below is nutrition for the noodles and veggies only. The dressing will add another 100-200 calories. Credit: This salad was inspired by the Bangkok Noodle salad at Nourish, a Vancouver restaurant and cooking school.